November 2015 - Klubfunder - Helping clubs raise funds. We all know how difficult it is to raise much needed funds for clubs, especially in the current climate. Why not try one of the 3 proven fundraising ideas below to raise some money for your local club. Been there, done that, tell me something new. As the saying goes “if its not broken, don’t fix it”. A night at the races fundraising event is a tried and tested method for clubs raising funds over the years. As part of the event, video footage of horse or greyhound races is played. Beforehand your club members can pick a runner from those listed in the programme, this can be based on their favorite name, number or just a random pick. Sometimes the simplest ideas are the best. Many of your club members will enjoy the baking part and many more will enjoy the eating part !! Bake / Cake sales are a traditional means of raising funds for clubs, they can be great moneymakers because there is little or no actual capital required. All of the baked goods are usually donated. The 'bakers’ take pride in their work and get satisfaction from people purchasing the produce of their hard work. Its also a social event where people enjoy mingling and catching-up for a bit of chin wagging over a cup of tea and a scone, so its not only a good fundraising idea but a community event also. A popular fundraising idea for sports clubs. Commonly called Last Man Standing, Killers or Survivor Pool, its a simple fundraising competition that can be run against most sporting events. The idea being that each week your competition entrants chose a team to win from a list of sporting event fixtures. If their chosen team wins they progress to the next round, however if they don’t win they are knocked out of the competition. The Last Man or Women standing is the winner. So its a combination of knowledge, strategy and good luck. Most importantly its fun and the winner gets a prize. The Premier League and the GAA National Football League are popular sporting events that clubs usually run this competition for, however it can be run against most sporting events including your local leagues. 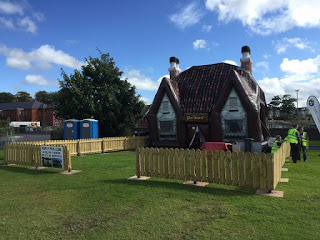 In previous blogs we have mentioned a fair few ideas for fundraising, from bun sales to vandalising the neighbour’s lawn! 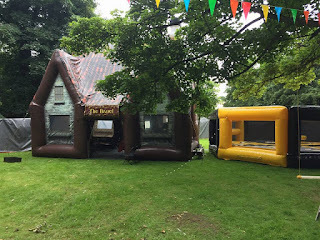 These inflatable venues range from pubs to casinos to hot tubs to games depending on what you are after. 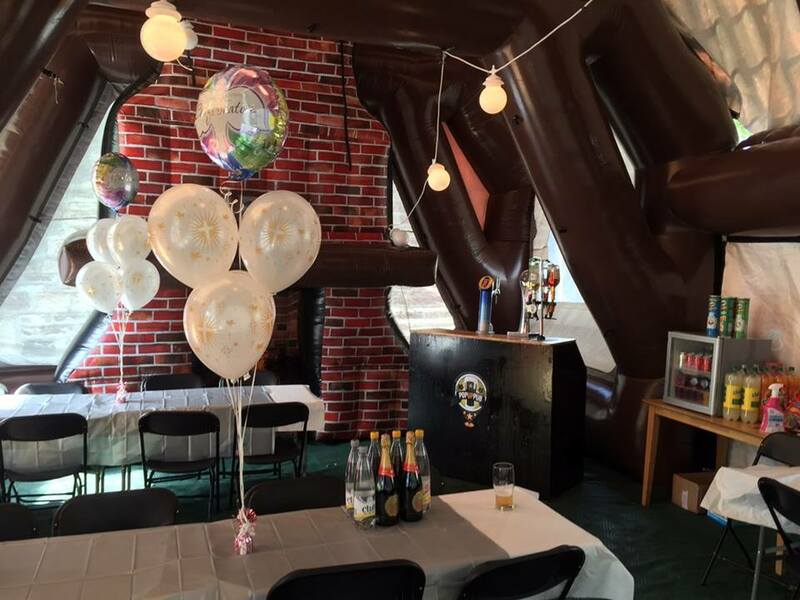 Whether you are wanting to run a casino night with a twist or simply provide an outside bar to accompany your fundraiser, these inflatables definitely add something different and should rouse some curiosity from locals. There are also inflatable games that can be used for club fun days such as obstacle courses for the kids or gladiator and sweeper games that the big kids tend to enjoy as well. If your club are interested in inflating their fundraising and need some help, PopUpPub.com are Ireland’s first dedicated inflatable event venue specialist. The majority of fundraising is done the traditional way, staying local and getting support from the local community. This model is proven and will probably always remain the main source of raising funds for clubs. However with the ever increasing power of the internet and with more and more of us going online via mobile devices, another channel of fundraising is featuring more with clubs. Online Fundraising. Clubs are already making use of the internet to promote fundraising events, sell tickets and much more. The latest offering in the online fundraising world is CrowdFunding. It’s been reported that the global crowdfunding market will reach up to 20 Billion pounds in 2015. So the figures are pretty impressive and should be something that clubs consider if they are not already. There are a number of popular crowdfunding sites available to help your club with its fundraising project. Sites like Crowdfunding.com, KickStarter.com, IndieGogo.com, CrowdRaise.com and there are new ones coming on the scene all the time. An example crowdfunding campaign can be seen by clicking on the link below. 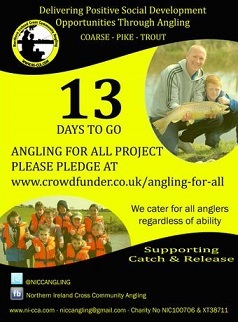 Northern Ireland Cross Community Angling. The project aim is to construct Northern Ireland’s first fully inclusive Fishery, with 27 disabled accessible and child safe fishing platforms. Since most people have now moved online to some degree, with Social Media in particular, fundraising and sponsoring has started to go online as well. From the popular yet traditional cake sale or ticket sale, fundraising options are now taking advantage of the online world through programs such as social sponsoring, a modern means of raising additional funds for your club. How can the club benefit from social sponsoring? The club will benefit by getting commission on every purchase that one of its members makes though this channel. So they will have an additional revenue channel coming in with very little effort. How does social sponsoring work? Well, it’s pretty simple. You create an account for your club. Once created, you will get a personalised link for your club that you can share with your club members via email or the usual social media channels. Invite them to shop online from a list of connected partners such as Booking.com, iTunes, Adidas, EBay, Groupon and others via your club link. Simple as that. A percentage of every purchase your members make will be donated to club. The great thing about it is that the price of the purchase is exactly the same, no added commissions or expenses, nothing. As technology becomes a bigger part of everyone’s lives, it also offers opportunities to focus on better, faster and simpler ways of fundraising for your club. Who would have known years back that through a simple online purchase of goods people can also be indirectly support their club? This is what Social Sponsoring is all about. Welcome to the new age of fundraising: social sponsoring! Between now and March we see a lot of sports clubs rolling out their big production fundraisers in an effort to provide a much needed cash boost. We all love a good gameshow on TV and we all like to think that we would be much better than any of the contestants we criticize every week. They’re nowhere near as funny, smart, good-looking or athletic as ourselves…..No? Just me? adopt the platforms from our favourite shows and recreate them locally. Everybody knows the general idea of what the contestants will be doing, all the armchair experts have the opportunity to put their name forward and everybody wants to see how the event will be recreated…or how the embarrassments will be recreated! 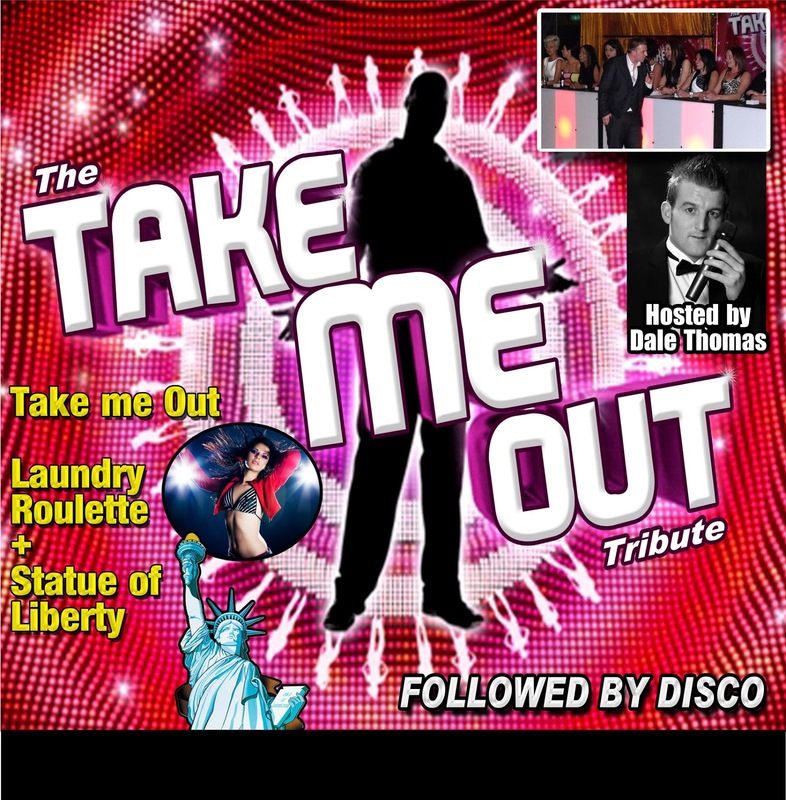 If your club is thinking about organising such a fundraiser for the coming months and need some assistance Corey Music Promotions are a company which help set up these fundraisers for clubs.